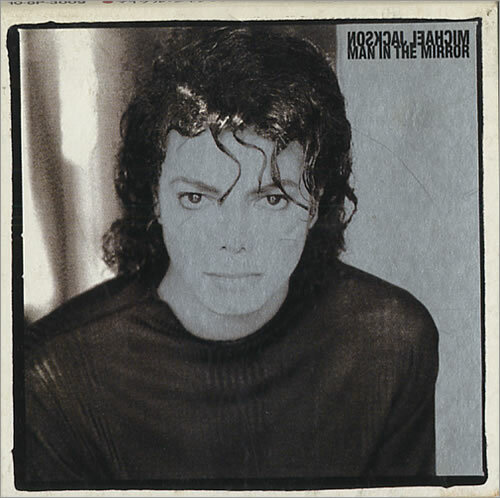 Don Wilson produced, directed, and edited one of the most popular music videos of all time, the video for Michael Jackson's hit song "Man in the Mirror." We caught up with him to ask him about his experience working on that compelling artifact of American popular culture history. Americana: With the recent passing of Michael Jackson, TV stations such as VH1 and MTV have been playing Jackson video retrospectives. One of the most revered is your "Man in the Mirror." How does that make you feel? Don Wilson: Well, firstly, I'm shocked and saddened by his death. It was obvious that Michael was not in a good place mentally or physically, so I hope for his soul that he's found some peace. Regarding the video, it was a life and career changing thing. A friend played the newly released Bad record for me on a Walkman with small speakers and when I heard "Man in the Mirror," I was blown away and told my friend that the song would be huge. I couldn't get it out of my head. As fate would have it, I got a call to meet with Michael the day after Thanksgiving 1987 to talk about doing a video for the song, so, needless to say, it was a magical thing for me. It was an honor to be chosen to do the video and a task I did not take lightly. As I traveled from city to city looking for the footage, I realized the task was a big one. I soon understood that much of the footage had been seen on news programs, and I needed to present it in a way that made it compelling and watchable. I decided to make the video "reversible." What I mean is if one were to play the video in reverse they'd notice that it begins with purity and innocence, and man's innaction and injustices create chaos, hopelessness and war. I wanted people to feel tearful and affected and maybe for a second they'd think about doing something to change things. I'm glad people still like it. They tell me it's on a lot of top ten lists, all time greatest music videos. I'm very proud of it. A: Since you worked with him, Michael took quite a hit in terms of his reputation. Do you have any thoughts on the media frenzy concerning his personal life? DW: You know, Michael was always a tender, sweet guy. He truly believed in the purpose behind "Man in the Mirror." I know he struggled with some issues, but when I worked with him, he was generous, caring, and spared no expense to do everything the right way. A: It's quite a big deal to do such a music video with such a worldwide superstar. DW: No question. He gave me opportunities that changed my life. The person at his record company, Larry Stessel, also had a lot to do with helping me as well and continued to support me in the music video business until it changed in the 1990s. A: So you worked on other Jackson projects. DW: Yes, the first thing I ever did was the Jackson's Live in the early 80s. I edited other music videos, biographies, and directed a CBS Special called Michael Jackson: The Magic Returns. A: Let's return to "Man in the Mirror." The video is noted for the footage. How did you get all that compelling material? DW: I literally traveled the world gettting all that footage together. Some of it was archival. Other sequences, we shot. It was grueling too. I would give a list of shots I was looking for, and they would wheel out stacks of tapes with famine, war, disasters, and other imagery that would leave me shell shocked. It was a gut wrenching task for sure. One of the things we did, and it was a new thing at the time, was to paint color on certain images to emphasis something. For instance, the black and white scene of the Kennedy funeral procession, I had the American flag draping the coffin painted red, white, and blue. I had the bullets being fired from a Vietnam era bomber painted bright red. These things were subtle, but subconsciously it made it watchable and sort of reset the subconscious circuit breaker. A: How did you get the idea to do a video without the star in it? You know, not featuring the star. DW: We actually shot a lot of material with Michael, but it didn't work with all the difficult images we were showing. You can't really show a mega-star getting out of a limo after you've just shown kids starving in Africa. So the lyrics really dictated the content. You know, as I began to edit the piece together, I quickly realized it was way bigger than any one person. Larry Stessel, Michael's record exec, agreed. A: How involved was Michael in the edit bay? DW: He left me alone. He came in once to see a cut, and he was moved to tears. When he finally gained his composure, he looked at me and said, "No changes." We did have to change two shots because of logos that we could not get clearance for, but no creative changes were ever made from the first version. That's pretty much unheard of. A: Is it true that he didn't see the final cut until he was on the stage singing the song live at the Grammys? DW: Yes, that is true. They put up a forty foot screen, so he could see the video as he sang. He was stunned by the whole experience. At the end of the song, he collapsed on the stage and had to be helped to his feet. I was stunned too, and I think that is when it all sank in. A: A lot of people are impacted by the video. Some even say they changed their lives after seeing it. What's your response to that? DW: I think "Man in the Mirror" is a very important song. I mean, the lyrics are just incredible. I felt a responsibility to do something great. We did realize at the time that we wanted to impact humanity. I'm glad to hear that some say we did. A: Did you ever consider doing a remake? DW: We always wanted to do an updated version and were very close to having discussions with Michael, but fate changed all that.